song: wake up, child. wake! fmf: morning. Sickness is interesting in the way it makes cry out to God in a way I wouldn’t if I was fully better. There has been so many days over the last few weeks where I’ve been like: I can’t do this! I need so much help! Need to journal! Bible.. I’ve never been like this and somewhat distracted with the thoughts that are evil and so not kind about me. But promises keep coming and I like chilling with Jesus and acting crazy. I know he can take it, and I’m more alert to others pain. It’s all very interesting. And I may be somewhat loopy so sorry if this makes little sense. cannot do this, help myself. back in wonder at how personal I am. continuously holding your right hand. longing I dare never withhold. you question: how is between us? You fear, I must have done wrong. know I am, God. Abba. Yahweh. are a treasure, a diadem. with healing less like scars. breathing every minute aren’t you? wrong, shame I’ve done you wrong. give you, love you cannot understand. proud, a kindness I want hold. 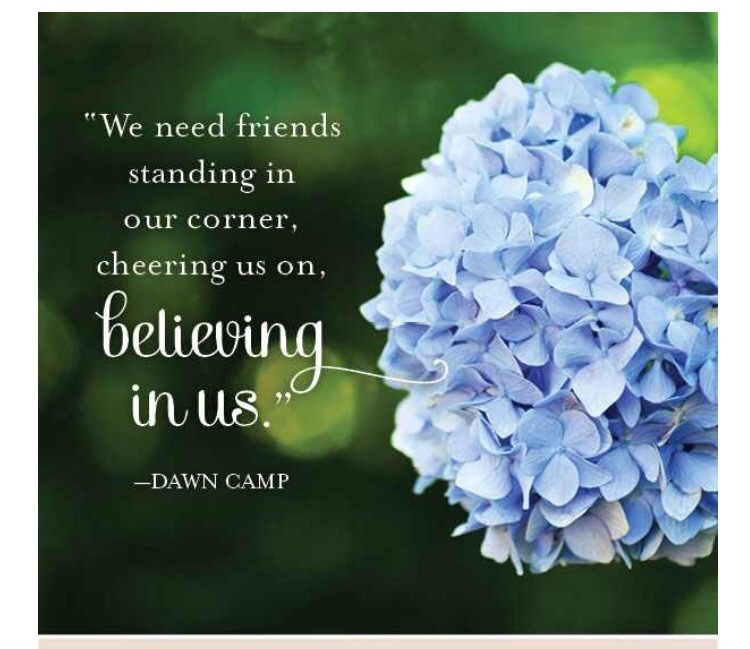 I read Dawn’s words in the introduction of her new book, The Gift of Friendship: Don’t let anyone tell you that a friendship that begins online lacks a foundation. Treasure friendship in whatever form it comes. I wanted to weep. Instead, my mind kept repeating: Someone understands! while I smiled to myself. It’s difficult to explain to people how close you can become to others through having a blog. Though it doesn’t happen immediately, I think it may have something to do with sharing our hearts through writing, there is an ease in slowly opening to another soul a distance away. A kind of community you don’t expect. I’ve experienced this with the older woman I’ve met through social media and real life friends my age who don’t live close. As in right down the street. This book is a collection of stories about the desire we all for deep relationships and the beauty, often struggle to cultivate them. Because I can’t dive into every story that touched me, I’m going to pick out a few that made me think. Dawn Camp’s story, What You Can Do When Life Storms Hit, how God reaches out when you don’t want to impose. When my grandma passed in 2014, I ached in a way I still don’t understand. A few women through my blog have continued to pray for me, ask me how I am, let me come with all my crazy, and remind me God loves me. He hears me. Keep bringing Him my heart. It’s a quick text or email of encouragement that has held me together, making me grateful I started a blog and for the way God has weaved friendships I never saw coming. 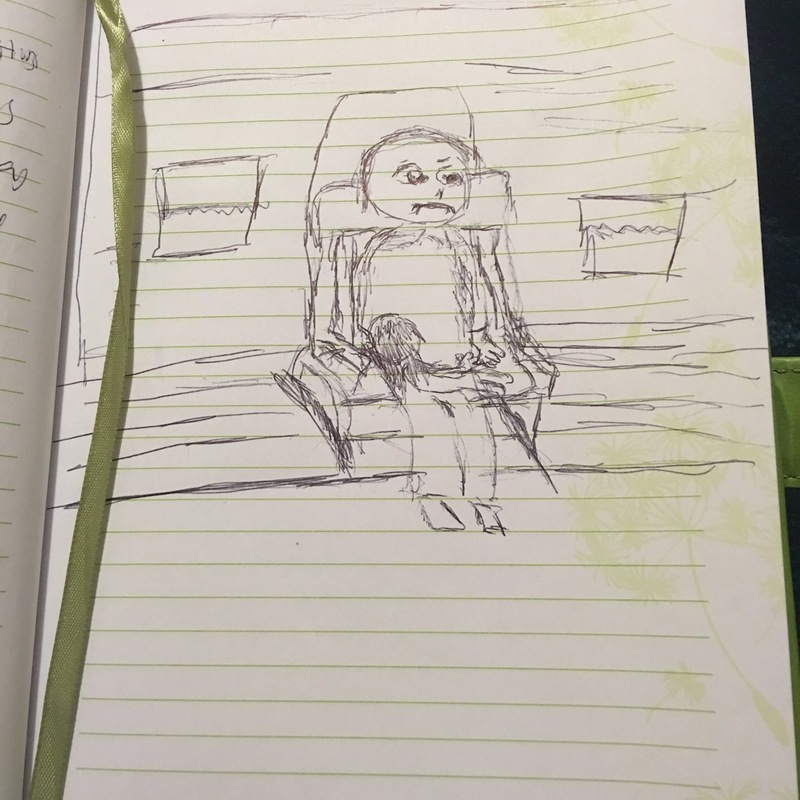 In another story by Ananda Williams, she shares her own struggle with grief. Sometimes, in the worst times, you need someone to be you, so you can just be. In the midst of grief, I’ve watched how God has used two friends in real life, traveling miles to show me joy that comes into the dark. They’ve let me be quiet, staring off into space. Mad. Weepy. Through books, music, prayer, food, time and laughter, they’ve shown up without giving me chance to deny. They’ve loved me anyway and I’m thankful for the way we give to each other despite the distance. If you are a mom or a woman who struggles in the friendship area, this book will be a sigh of relief. If you’re a guy, this book will open your eyes to female friendships, but will help you appreciate your own friendships as well. You will cherish longtime friends and the new ones beginning. I’m doing my first giveaway (a signed copy!) If you’re looking for your next book to read, comment below with your email and I will pick a winner by Friday! I’m writing this poem and started feeling maybe I didn’t set the timer because 5 mins is taking wayy too long. But then I have 20 seconds left and write the word, so. Waiting is hard. I honestly thought I was a patient person, but even though I can’t run or rush as quick as another, my insides are all: come on, God!! Please please please! This is burning me up. These dreams that keep swirling around inside and making me smile/freak out with fear. And then I get sick. And try pushing open more doors he clearly wants me to wait on. Such hope never disappoints or deludes or shames us, for God’s love has been poured out in our hearts through the Holy Spirit Who has been us. He whispered this to me in the night. And then I read the rest of the chapter and caught how grace is used 3 times, Jesus reaching out to be near me, bless me. His presence. I don’t understand his plan. I don’t like feeling crazy, like I can’t sleep because the longing is deep and wide and long and the expectation is making me feel like it’s Christmas. I think he’s making me die to hurry. To trying to figure all out and push him to give me answers right this very minute. Rest, he says. In my love. the fugitive internal: I love you. though I am tired and quite a bit cranky, oh how you love me. oh how you make me laugh–you love to watch me smile, split open my tense jaw, laughing into the light. I want to cry though I am not sure why. my heart aches, and here you are. grace upon grace-desperate hands swooping me in an embrace I’ve ever longed stay. torn between what I want/should do. door to finish a class to break into print. I really love not checking mail all day. And then scrolling through going: why am I given another chance to be on a launch team, for fiction. A little more: they’re going to let me finish this class I bailed on 3 years ago? I don’t know if I really want to do this.. Goes to check book for this launch: yeah, I can agree with the princess of the story. Restless, wanting to escape (more my mind).. But it’s the last day to apply..they’re picking people tonight..is this a trap? Looks at class with these thoughts: what can I write? Ugh. God knows I want to learn to write under a deadline but not out of striving, which is what I feel I’ll do with both of these. I’d like to drop both and be like, whatever, I’m done. See, this is my limit. full of juice–maybe grape–and Doug Funny or Rugrats on TV. Jesus says. What you are told you shall do. bite, two. Enough. Enough. Enough. fearful dread aside. Touch my sweating hands, there, there, child, I may not be enough to you, but I am. You are enough. Lent will probably always remind me of eating tuna fish on toast and filet o fish sandwiches with over my grandparents as a child. Or when my other grandma took me for fish fries with mac n cheese and green beans. I’ve always thought of this time as sacrifice, but for myself. I knew it was for Jesus, but never to get closer to him. It’s interesting to me that during this quarter of my life, I’ve done this and felt like I failed myself, Jesus, others. People have always seemed more disciplined at this. I think I was/still am drawn to the fact I can eat McDonald’s filer o fish for cheap during this time. And I can give up certain foods without it really being an issue. But maybe this year will be more of challenge because I want to give up the way I talk about myself for his truth about me. I’ve spent a lot of my nights reading his word. Journaling during the day or reading another book. The minute I try sleeping at night, I feel small and overcome by fear that has gone not to make my heartbeat race but my hands sweat. What is wrong with dreaming to go abroad? He isn’t going to let you. Oh, what? He just told you he loves you? Yeah, okay. Because someone who loves you tells you to wait. Makes you talk to emptiness with only: though anxiety was great within me, your consolation brought me joy. You see him comforting you? Cause you’re sweating more and more and especially after I get you away. Even for a second. You keep crying and squirming and telling people the truth and what have you got? Dismay. Oh and I know what he says, do not be dismayed for I am your God. You got two rejections last week all because your looking for approval? That’s a real strength booster huh? You don’t even know what you want anymore, so indecisive and needy and afraid to even trust. Try harder won’t you? ^^^^that just all came out now, but this is what goes on inside my head, while I hear the quietest, I love you. Prayers would seriously be appreciated because I’d rather hear the quiet invitation of his love, receive it, than rig thrum of doom I’ve been getting each night.